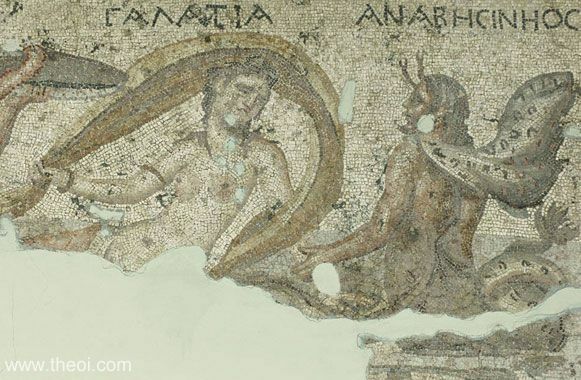 The Nereid Galatia rides across the sea on the back of the sea-god Anaresineos. The marine deity is depicted as a merman with a serpentine fish-tail, pointed beard, crab-claw "horns" and crab-claw "feet". He wears a cape made from the hide of some sea-creature which matches the colouration and pattern of his own fish-scales.